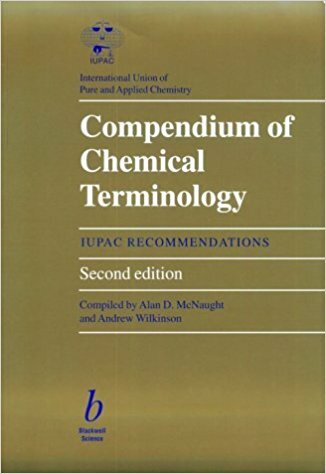 Welcome to the interactive version of IUPAC Compendium of Chemical Terminology, informally known as the "Gold Book". On these pages you will find a new browsable, interactive version of this publication. or by using the search in the navigation bar. To learn more about the Gold Book and this interactive version see the about page (Updated 7/1/17).